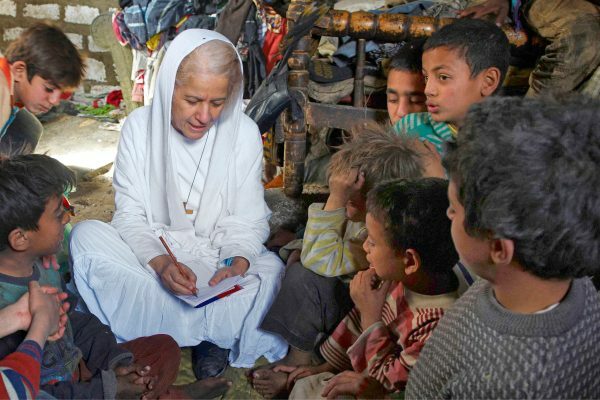 The Center for Religion and Civic Culture (CRCC) at the University of Southern California is embarking on an ambitious project to tell 100 stories of exemplary individuals inspired by their spirituality to engage in humanitarian work. A $3 million project with funding from the John Templeton Foundation and the Templeton Religion Trust, “Spiritual Exemplars: A Global Project on Engaged Spirituality” will allow CRCC to expand its knowledge on the role of religion in the public sphere and create a new field of study around these extraordinary people. Over the course of three years, a team of researchers and journalists will create written and multimedia profiles of people motivated and sustained by their spirituality to address issues of poverty, human rights and other humanitarian concerns. The exemplars profiled will include the likes of Maggie Gobran, whose organization serves 32,000 families living in Egypt’s garbage slums. Donald E. Miller, the lead investigator on the project and CRCC’s director of strategic initiatives, first met “Mama Maggie,” through another research project in 2001 and recently created a 15-minute documentary about her. Since its inception following the 1992 civil unrest in Los Angeles, CRCC has studied the role of religion in transforming communities locally and globally. The Spiritual Exemplar project builds upon this expertise by focusing on the engaged spirituality of exceptional individuals. CRCC will choose a diverse set of exemplars from an initial list of more than 100 people and additional nominations from researchers, journalists and the public. As a global project, CRCC aims to study exemplars across geographies, races and religions, including individuals who do not adhere to a particular tradition. As a collaborator on the project, the Aurora Humanitarian Initiative has nominated Aurora Prize finalists. The finalists to be profiled include 2017 Aurora Prize Laureate Tom Catena, the only doctor based in Sudan’s Nuba mountain region; and 2017 Aurora Humanitarians Jamila Afghani, who brings education to girls and women in Afghanistan; and Dr. Denis Mukwege, whose dedication to addressing sexual violence in the Democratic Republic of Congo earned him the 2018 Nobel Peace Prize. 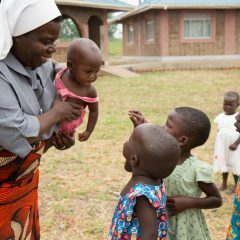 CRCC aims to create an academic field around the study of spiritual exemplars, building upon psychological studies of “moral exemplars.” Recent research indicates that 80 percent of individuals involved in human development projects, including disaster relief and long-term social interventions, are informed by spiritual values and practices. “At the same time, working with journalists will allow us to extend this conversation into the public sphere,” he added. CRCC will offer journalists reporting grants to write about spiritual exemplars. Additionally, Kim Lawton, formerly of PBS’s Religion & Ethics Newsweekly, will produce documentary videos, and The Spiritual Edge, a reporting project of KALW Public Radio in San Francisco, will produce a podcast series. “We hope to tell exemplars’ stories in accessible ways so that they can inspire others,” Miller said. More information about the project can be found at crcc.usc.edu/sep. Click here to nominate a spiritual exemplar. Click here to apply for a journalism grant.